If you want your chest to grow, then performing bench press is the absolute best way to do it. There are though, as with everything in fitness, a few variations you can perform. One of the strangest looking and even undervalued variations is the decline press, but what are the benefits of pressing on a slight decline and is the decline bench press good? We’ve all turned up to the gym, pumped up to hit a hard chest session only to find that everyone had the same idea that day, or that exact moment. All the fixed benches are taken, there are guys curling in the squat racks and there’s no point in even considering the adjustable benches. Should I do the decline bench press? Without ruining the article, yes, you should. But hold fire, before we jump right into understanding the benefits of the decline bench press, it’s best to have a bit of refresher on your pectoral muscles. Understanding this minor bit of physiology will help you make the most of performing any chest exercise, let alone decline bench press. Which Muscle Does Decline Bench Press Target? Is the Decline Bench Press Good? Your chest muscles are broken down into 3 muscles. Pectoralis major, pectoralis minor and serratus anterior. These three muscles are ‘pushing muscles’ and are recruited not only in chest exercises but also when you’re performing tasks about the house. Like trying to push a bed into place. When you train chest, it’s a good idea to consider each of these muscles and their involvement in the movement of the weight. Largely you’ll be focusing on pectoralis major, but it always benefits to ensure you keep check of your serratus anterior to avoid any injury. Your Pectoralis Major is the biggest of the three chest muscles and the one which is most visible. It starts along with your ribs and then attaches at your upper arm. This muscle controls the movement of your arms towards your chest. Hidden underneath the pectoralis major is the minor. Attached to three ribs and ending on the shoulder blade, the pectoralis minor is responsible for pulling your shoulders forwards and downwards. Whilst not strictly part of your chest anatomy, this muscle still plays a large role in the movement of your chest muscles. The serratus Anterior attaches to the ribs and fixes underneath the scapula, or shoulder bone. The decline bench is an exercise that is going to predominately target your pectoralis major. If you think of this muscle as a big fan, then the decline bench is the exercise that’ll hit the lower edge of it. What some people with shoulder pain may also find, is that because it recruits the lower part of the pectoralis major, you’re recruiting less of your serratus anterior, meaning it could be more comfortable and safer to perform this movement. Because the decline bench press targets your lower chest, you’ll find it can help to improve any imbalances in strength. If you’ve been someone that’s been fixed on bench pressing on a flat bench for a long period, training using a decline could benefit you by helping speed up progress or dig you out of a plateau. There isn’t a whole load of variants to the decline bench press as a chest exercise. But you could either use a set of dumbbells and an adjustable decline bench, or head straight over to a fixed decline bench. Both of these versions will target your lower chest muscles, however using dumbbells may feel a bit trickier for some people at first while they get used to the feeling of the decline. In the same way that dumbbell bench and barbell bench press differ, you’ll find you need much more stability to perform decline bench press with dumbbells. As with any new exercise, don’t go too heavy to start with. As doing so with decline bench is a sure-fire way to really mess up your shoulders. We’re going to run through the key points of performing the decline bench press with either a fixed decline bench, or alternatively you can use a decline adjustable bench pulled into a rack. Lock your legs into the bench and gradually lean yourself back. Use a medium width grip on the barbell, at around shoulder width. Unrack the barbell keeping your arms at 90° to the floor. Breathe in and bring the bar down until it touches your lower chest. Push the bar back up as you breathe out, using your chest. Squeeeeeeze. You’re now back in the starting position. Complete as many reps as required and re-rack. Remember, if you’re planning on going heavier on this exercise it’s a good idea to have a spotter to help with the racking and unracking of the bar. Don’t bounce the weight off your lower chest and avoid the bar touching down on anything other than your lower chest. This could leave you open to injury. 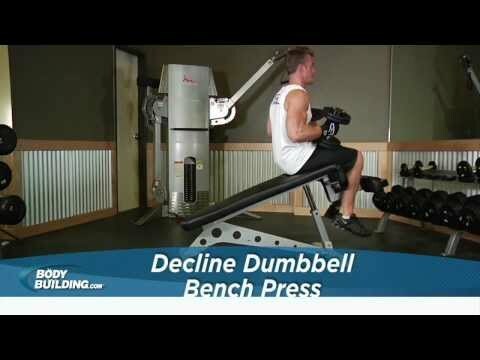 If you’re looking to build some definition to your chest then the decline bench press is a great addition to your workouts. Because it focuses on the lower pecs, you’ll find you build a much more even and well rounded set of pectorals. The decline bench press is also a good movement because, as with any bench press, it’s a compound movement and will help develop your upper body too. Coupled with the fact that there’s nearly always a decline bench free on sardine can gym days and you’ll have a reliable alternative if you just can’t fight your way onto any incline or flat benches. 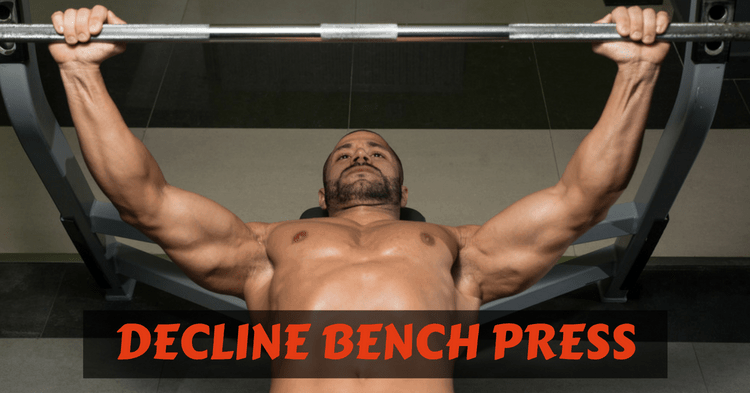 The decline bench press a great fall-back movement. If you can’t get any form of bench, dips could be a useful alternative to slip into the gap. The decline bench press can have major benefits for the development of your pectorals. Targeting the lower chest, it can work well to balance out and improve strength in the bench press too. 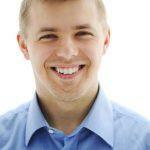 If you’re still asking ‘should I do the decline bench press?’, then stop. Not only will this exercise help bring balance to your upper body, it’s also a good variant to keep your workouts more interesting and it’s normally far easier to find a decline bench over the regular benches. You’ll find that pro bodybuilders, even the legendary Arnold Schwarzenegger used the decline bench press to balance out their physique.